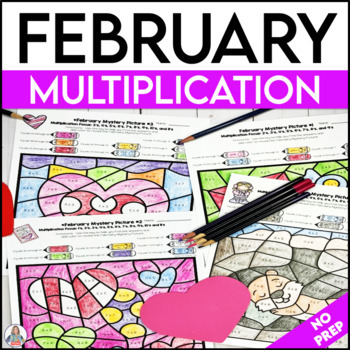 The February Math Activities are just what you need to keep students engaged and learning during those weeks in late January and early February. 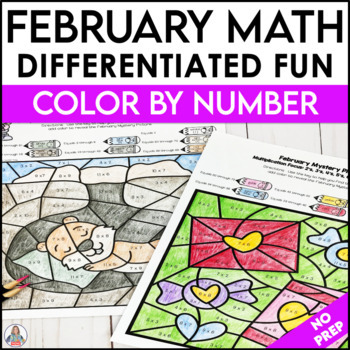 Easy to use, the fun February Math Activities with color by number printables includes four differentiated pages with two versions of each page for reaching all of your students. Difficulty increases with each picture number. 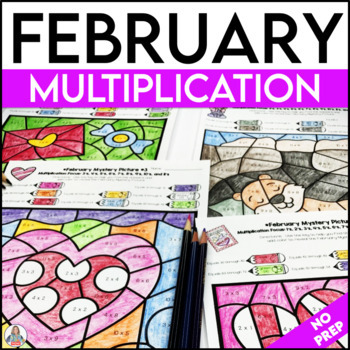 Great for individual work, partner work, small group work, and learning centers. Perfect sub work. Just print and go! ***You can find this product bundled with six other color-by-number products here for an amazing discount! 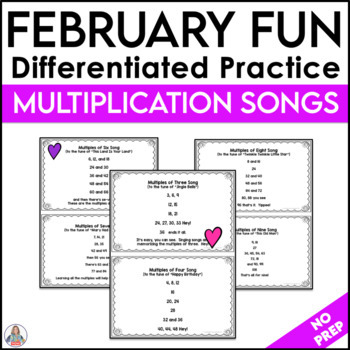 • 6-multiplication songs to familiar tunes are included for the multiples of 3, 4, 6, 7, 8, and 9.